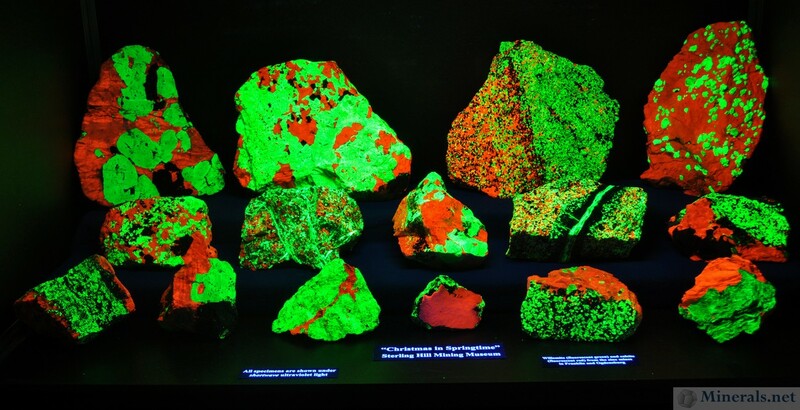 We have emailed our April 2014 Minerals.net online newsletter. Please click the image below for the larger version. We have uploaded our new videos on the Tucson 2014 shows! It was too large to fit in to one single video, so we placed them into 2 seperate videos, one for the Tucson Gem and Mineral Show TM, and the other with the rest of the shows. 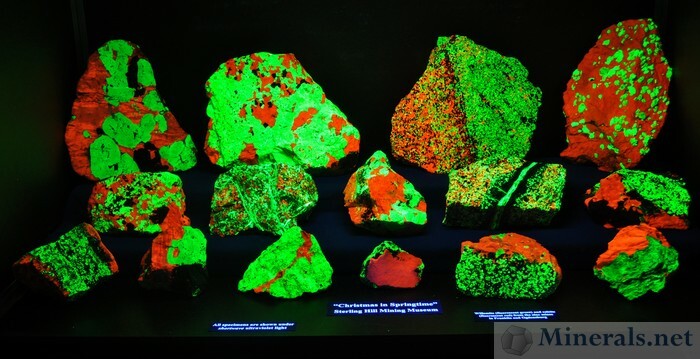 These and other videos can be viewed on our videos page at http://www.minerals.net/videos. We have also provided the videos below from YouTube. Make sure to watch them in full size for best effect! 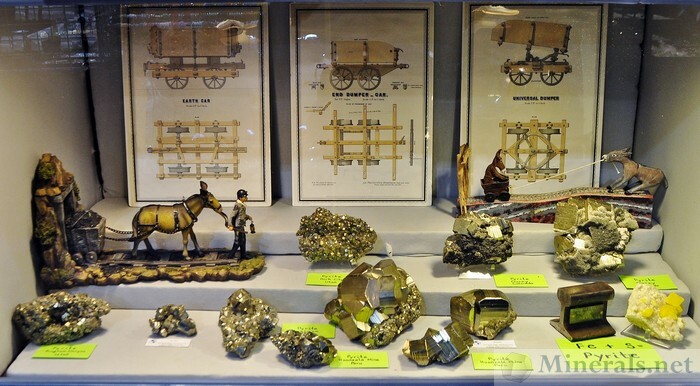 The borough of Franklin, New Jersey, hosts two mineral shows every year, once in the spring and once in the fall. Although these shows are relatively small when compared to the large shows, they bring out many of the local collectors. 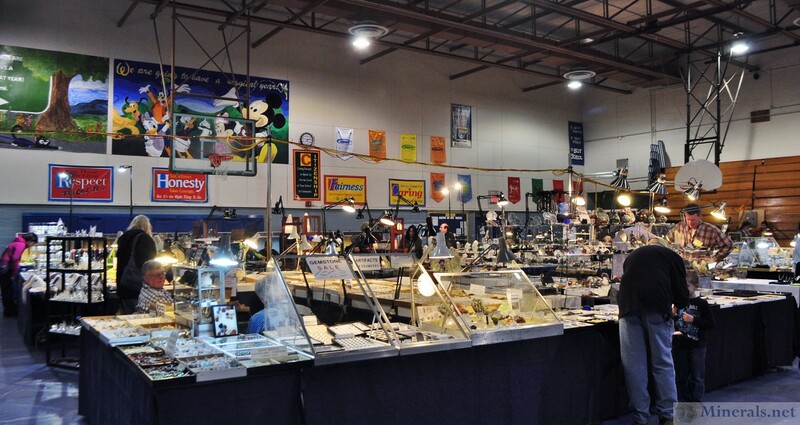 The Franklin show is the best place to get minerals from local collectors at the best prices. The show has an outdoor and indoor section, and the outdoor part is heavily weather dependent. The weather was nicer on Saturday, but it rained in the afternoon, which is always a challenge for outdoor shows. Sunday was overcast and very windy, with temperatures only in the 50's. This made it cold and uncomfortable and unfortunately prevented the crowds from coming. The show always has nice exhibits, and has some of the best fluorescent displays. 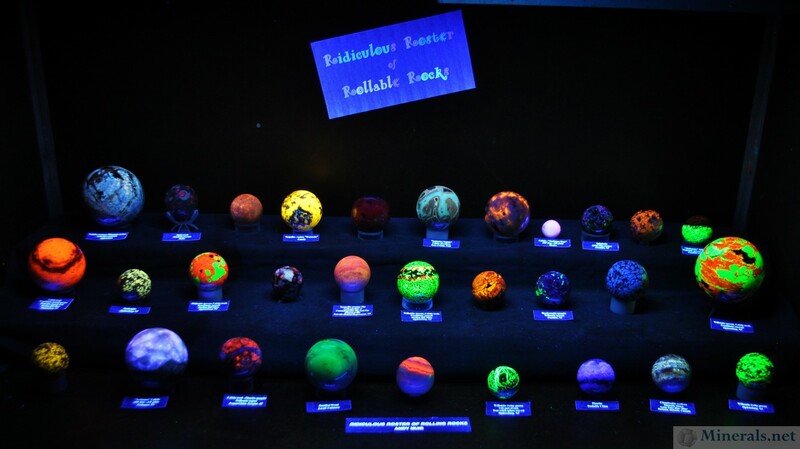 I took pictures of the display cases, especially some of the fluorescents. Case Depicting Mineral "Color and Form"